Can We Make A Pet Park That Pets Will Be Excited To Come To? -Alyssa And Caitlin's Round Two Passion Time Project! Can We Learn How To Speak As Many Words As Possible in Polish? By: Brynna G. and Kya H.
We know how to say "Yes" in polish. We know how to say "cow" and "quiet" in polish. We want to know as many words in polish as possible. How Will We learn This? We have learned some basic Polish words and some harder Polish words. We learned some Polish greetings. We will teach others how to speak polish through videos and talking face-to-face. What New Questions Do We Have? How do we say long sentences in Polish? Can we learn to speak fluent polish? I learned how to say many basic words and phrases in Polish. Some were hard to say and others were very easy to say. I think something that was difficult for me was creating sentences because you had to know how to say the words in the sentence and sometimes that was very hard. Something that was very easy for me was saying some of the basic words in Polish. For example the word "Yes" in Polish is "Tak", so that was pretty easy for me. There was a lot of fun things while doing this project. One basic thing that was fun was just learning a new language. It's cool to see how different the words are from English. When I learn a new language it almost feels like I own another thing. Something that I would do differently next time is trying to learn more words to make sentences with because I spent a lot of time focusing on just words instead of full sentences. I learned that the Polish language is a lot different from the English language because some words are very hard and some are pretty easy. An example of an easy word is "Za" which means "A" in english. An example of a hard is "miłość"
which means "love" in English. Something that I thought was fun was pronouncing the Polish words because they're not at all the same from English words. I also had fun working with a partner because if you didn't understand how to pronounce something, or if you didn't know how to spell or do something, that they could help you. Something I would do differently next time is I would use different resources other than google translate because google translate isn't always that accurate. Some advice that I would give to others who are doing a project like this is use your time very wisely otherwise you won't get that much done. Like my partner always remembered to tell me to get back on track If I was not. K What Do I Know? WWhat Do I Want To Know? How did soccer start and how did it change? Who was the best beginning soccer player? Where did soccer players play there games in the beginning of soccer? What was the best team before Brazil got Pelé? H How Will I Find Out? I will read and Watch youtube videos try to ask people who know about soccer. L What Have I Learned? A What Action Will I take? Q What Questions Do I still have? Will soccer stay until i'm very old? Will it be possible that soccer will have a change of rules? Will soccer continue to be the most popular sport? I think in this Passion time compared to others was much quicker and had bigger KWH's, LAQ's and I had better statements . I think that researching was much easier and much quicker because I was more focused and had more help from others plus this was a very strong topic for me because I love soccer. Something that was a little harder was to try and push myself to get more info. The most fun part of this passion time round was to make a giant timeline bigger then me that was fun. I will remember to push myself to get a strong topic take my time and help others. 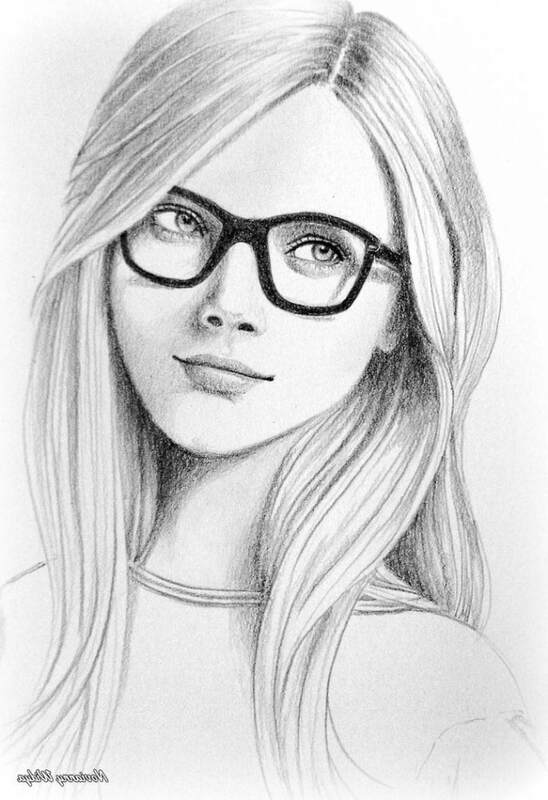 Can we improve/learn how to draw a realistic face? Shaun and Mikey F.
This is a picture of a realistic person. We know how to make the outline of the human head in our drawing. We know how do make a pretty good nose, eyes, etc. ​What do we want to know? How to improve our shading skills on our face and head for our drawing. We want our drawing skills to get better during passion time. We learned how to draw the mouth, eyes, ear, etc. How do we make the skin texture? How do we make the hair? How do you make the mouth? How do you shape the head? Learning new things with Mikey was amazing! While having fun I was able to learn so much and improve my drawing skills. I now know where to shade on the face to get the lighting right and now I can draw a perfect mouth. It was so fun to learn, draw, and do both those things with my friend. It was hard to learn the mouth at first because I didn't have too much knowledge on it. It took a lot of tries, but now I get to think about it as something I learned. Some parts such as the head, eyes (which were still a little hard), and other parts were a little easy because I have taken art classes before. But, in those art classes, we didn't really focus on just the face, more the body. I would also say that I should work a little closer with my partner next time. We would work together, then split up on research, and then join back together. We should do research together next time when we're working with someone else. Now that I have learned so much, I can teach others where the shading goes and why. I can also give advice how big things should be and where they can be. I'm so glad that I was able to have this opportunity with Mikey! I hope he feels the same way and I look forward to Round three! This passion time I learned how to draw a pretty good face. I also learned that it is easier and more fun to do passion time with a partner. When you do passion time with a partner it is more efficient and you get more done than when you do it alone. I Also learned to draw a face a lot better than I could before I did this passion time. I think the most fun was probably making the video because we got to draw our final and best picture. I really liked this because I liked the way it turned out. My first face looked like some goblin alien guy with craniofacial abnormalities. My last face looked like actual person. The easiest part was probably drawing all those faces. Each time I drew another face I got better at it. Especially when I drew my ears. If I could do something differently I would stick together with my partner more when researching. When we researched we split up and went to different places. That's why in the video our drawings looked a little different from each other. If anyone else does a drawing project I recommend they take there time when there drawing the outline of whatever there drawing. I also recommend going to Crafsty when you first start out drawing. What happens in the NBA draft? How does the draft work? ​It's when teams pick up players that came from college to play in the NBA. Certain teams get the first pick. The NBA teams get to only pick a number of players. The NBA draft happens every year. In the draft you can give the first round pick to other people or for people. 1. I wonder how many picks you have in a draft? 2. I wonder what happens in the NBA draft? 3. What does it mean to get drafted? 4. do coach study players before they pick them? 5. What do you do to get into the NBA draft? 6. How do the players get organized in to there spot in the draft like, first round pick, or sixth round pick? 7. Who hosts the draft every year? 8. Why does the draft have sponsors like state farm? I will use books that I can get from the classroom, school library, and town library. There were 10 round untill 1985 it shortened to 7. Also in 1989 they shortened it to two round till today. 7.The NBA draft and the NBA lottery are done in the same place. ​​I will teach others about how the NBA draft works. When I watch the draft I will know what is happening. I will point out the things that I learned when watch the NBA draft next. Why through out the NBA the rounds keep getting smaller? Will the draft ever end and the NBA will be over? Will the draft rounds ever get bigger like they use to? Will someone else every run the draft otherwise then the commissioner? Do teams only pick out players from how they tryout or do they study them ahead of time? The NBA helped me learn a lot of facts like the NBA draft is held in the same place as the NBA lottery. Also the first draft started at 1947. I learn a lot of fact when me and my partner research. We learn 25 fact about the NBA draft. when we started the draft, I did not now anything about it but after the project right now I have learn a lot of new.I had a lot of question at the beginning. I had like 5 question but I have like 1 or two they are how many college player come to the draft or sign up. My second is how many commissioners are there. I learned a lot about how the NBA draft works and what happens it. I also learned that this topic is a very fun and pretty hard topic because I got to research my favorite sport but it was hard to find different websites that had useful facts otherwise than two-three websites, but they had very good facts. The most fun of the project was actually learning the facts because I learned facts that were really cool and I had a lot of aha moments. I got to also learn about when my favorite players were draft like Micheal Jordan drafted in round, one pick, three. What me and my partner had trouble with was finding useful websites. We could only fine two or three websites, but those websites had a lot of facts on them but still it was very hard to find websites and also videos. It was also hard to stay on topic with all these other NBA things popping up that you really want to press on. A easy thing was When we found websites that were useful there were so many facts and so much to learn on them. One of the useful websites I would recommend is wikipedia because i was able to find a lot of my facts using it. It was also easy to comprehending what I was reading, I was able to understand everything that I was reading and watching. If I had another time to do this project I would wish to try more on topic. When me and my partner were working we got off track sometimes and did not talk about the NBA draft and got side tracked. The problem was that me and my partner know so much about the NBA but not the draft so if we saw something else pop up that was not about the draft sometimes we would get side tracked and click on it but then slowly get back on topic. If I would give advice to others who are doing a project I would tell them, That you need to stay on topic which is pretty hard, you also should use websites not Youtube because it is very hard to find videos on this topic. I would recommend to use Wikipedia because it was a very helpful website for me and my partner. I would also tell them that this is a very fun topic and you learn a lot about the NBA draft and would find out facts that you would not think you would learn. The last thing I would tell them is that I hope they have fun researching the draft and use the tips I gave them and put them to good use. How were the Olympics invented and how has it changed over the years? 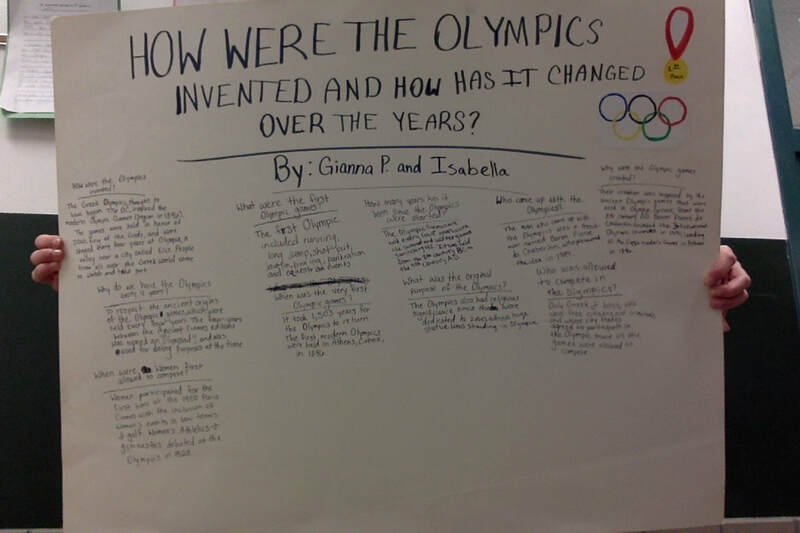 By, Isabella P. and Gianna P.
What were the first Olympic games? How were the Olympics invented? Why were the Olympic games invented? Who came up with the Olympics? How many years has it been since the Olympics were started? Why do we have the Olympics every 4 years? Why are the Olympics so important to us? Why were the Olympic games held? How long did the Ancient Olympic games go on for? What was the original purpose of the Olympics? Who was allowed to compete in the Olympics? When were woman first allowed to compete in the Olympics? Which Olympic sports have become for women too? Who was allowed to participate in the Olympics? We will take action by making a poster and putting the information we learned on the poster. I would still like to know why the Olympics were such a big deal and why people are always wanting to compete in them? What was the story behind the idea of the Olympics? How did they figure out how to pick the people that were allowed to compete in the Olympics? Did winning the Olympics mean anything back then, besides just winning a medal and having a victory? In this passion time Round 2, I am happy that I got done quicker than last time. 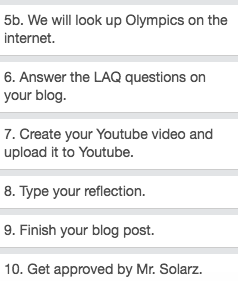 It was fun to do the project and it taught me a lot of stuff I didn't know about the Olympics an I love learning new things and this was a good project to do that. It was also fun working with my partner, Gianna. The most fun part was when we were getting the facts and putting them on a google docs. What I would do differently if I could redo it is I would stay in for more homework clubs to get it done. Also I would add more detail to everything and make it more descriptive. The advice that I would give to someone who would do a project like this would be to do it every time you get the chance. The most difficult part was when we had to make the poster. It was hard because we had to put so many facts on it. I learned what changes happened from Olympia to Rio. I found out that women were not allowed to compete in the Olympics always, but now they are. Also they were only allowed to compete in special events. This inspired me to do more sports, like gymnastics and maybe volleyball. My least favorite part was when we had to find put a essential question because it took a while to find out what question Mr. Solarz would approve. In this Passion time round I think that I really got a lot done quicker than I had last time. I am happy about what we had chosen for this round because it taught me a lot about the olympics then and now. It was very cool learning about how much things have changed from Olympia to Rio. I really like Passion time because it gives us a chance to get to know a lot about topics that we are very interested in. I really liked this round and I can't wait till round 3 of passion time, It will be very cool, and interesting. I also had a lot of fun doing round 2 with Isabella my partner. I learned lot's of new things about the Olympics and now I know that there were not always gymnastics and basketball. For awhile there was actually just long jump, shot out, and javelin. I also found out that women were not always allowed to compete but now they are, they had started in the Paris Olympics. This makes me want to learn about a lot more things in history. My favorite part of Passion time is step 5 that is the designing, creating, and researching, because that is when I got to find out all of the cool facts. The most difficult part of Passion time is the getting approved because sometimes you have little mistakes and then you need to go back and fix that or you might need to add more detail to it. Can we create a playground for disabled children from an app/website?Olivia and Carmen W.
What can disabled people do better than non disabled people? What can disabled people do that non disabled people can't do? I learned what things disabled children can do and can't do. I also learned how to use the website that we used. The most fun thing was creating the playground. The thing that was difficult was that we had to eliminate a lot of stuff and add things that playgrounds usually don't have. Something that I would do differently is that I would have made more things that they can play with. The thing that was the most fun was creating this and adding more each time. The website we used was called room sketcher and it is a very good website. I really enjoyed doing this and I will probably do something like this again. I learned that using this website is difficult if it is your first try. Toward the end I had a problem with moving some stairs near the bottom but it turned out to look okay even though I could not remove them. I also learned that Room Sketcher does not have everything you need. I researched the different disabilities you can have and came up with a lot! Although our playground does not solve every issue that people have for playing, at least some kids would be able to play here and have fun with kids just like them! :) I would have liked if we could have added more things but it seems pretty good. I liked it so much I might even do this kind of thing again. Can we make an aircraft carrier out of supplies? By Owen P and Mikey S.
There the hugest type of war ship. They have a lot of jets but not a lot of cannons. Also they hold like 275 ships. Plus they weigh a lot! It has a radio tower to call the commander or president. I learned that theres a thing under the runway the shoots planes out. Also that a us air craft carrier cost 13 billon dollars. Plus they don't tip over because of catapults. Another thing is that they have anti air craft guns. How many jets can It hold? How long are they? around 1000 feet ? How do they make sure the planes don't go overboard? How do they keep the big parts of it together when its put together? are they melted together? ​We asked Mikey F. Where the popsicle's are, and we looked at pictures of aircraft carriers to make ours as perfect as posable. We will ask Mikey F where he got popsicles sticks, and watch popsicle sticks videos. Are they made of metal and are they 1000 feet? How much are they made a year? Does every country have air crafts? Also how fast can they move? I learned that the runway has a jet under it to launch stuff which is called a catupult. Our Aircaft carrier can float even know there was a lot of holes but there was no spot where its trapped and sinks. I think It was really fun when I made these plane's that where fun to play with. And are will it float video. float but it tipped a bit. I think it was hard to make the bottom because it got stuck to a paper towel.the front was broken of the air craft carrier but it was kind of easy. If I did it agin I would make a bigger air craft carrier and try to paint it.If some one did this I sugest mostly use tape to keep it together and glue to keep stuff in place and for the planes. I learned that it is fun to work with a partner during passion. Also some thing can still float if the weight is uneven. I had the most fun when we were building it, and when we first saw it it could float. That was my favorite part. We had a lot of trouble putting it, and deciding what it was going to look like. Also what we were going to use to make it. 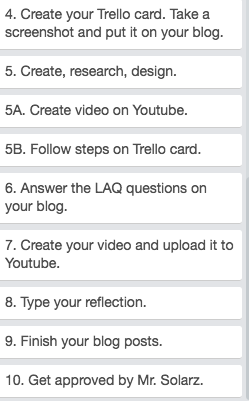 An easy part was when we made the video, and the plans. Also some of the special touches were easy too. If I did it again I would have tried to make the entire thing out popsicle sticks so we wont use plastic cups to make it float. If you tried this try and make it so it is not lopsided. Plus tap the popsicle sticks close to one another so their is a less chance for water to get in side, and making it sink. Finally if you try and make one see how big and detailed you can make it. Why is it hard for people to catch magic tricks. Can I trick them? Wes S.
There are most of the time things to block your vision Hands, board etc. Can I trick people so they can't see the trick. How come some of the time you don't know that it's a easy trick. Find different websites to demonstrate why it does not work. Some magic tricks can be hard. It sometimes does take talent to master card tricks. When you have a trick of any sort you always have to try not to mess up. I will make it so that you are able to do any trick and people don't have to know that you tried. Can the greatest trick be revealed? What is the easiest way to find a magic trick? Why are there people who are crazy and perform insane tricks? I think I did great on my project I really tried to find a magic trick that worked for me. The main thing was it took me a long time. when I made my video there was 2 periods left! I don't know if there is a easier way to find it for me? When I thought of how to do a magic trick I really wanted to do it. When there is a idea that is about magic tricks I had to try those tricks. My idea of a magic trick is WHOA. In my learn section I wrote "some magic tricks can be hard." Some magic trick like (disappearing the statue of liberty) are hard to do and I don't know if I could be able to pull that off and it is one of those things were you need a lot of practice. I may stick with non crazy magic trick like eating razorblades! The most crazy like I mentioned disappear the state of liberty is doing the impossible. How does a Smartphone Work? -Martin V. and Tommy D.
Phones are very much like computers except they don't have a power supply in them. Phones have batteries unlike computers. Phones have much smaller parts then computers. Android and IOS are 2 different operating systems for phones, but they are kind of competing each other. How much does it cost to make an android phone and a how much does it cost to make an Iphone? What is the most powerful phone in the world? How many smartphones are produced within 24 hours? The Samsung galaxy S8 is sold for $720 but they only make it for $307.50. The Iphone 8 plus is sold for $799 and is made for $295.44. The smartphone companies make allot of profit. The mate 9 from Huawei is the most powerful phone in the world. What Actions will I take now? We will make a website where you can see different info for both smartphone teams. We will also make a video of opening a phone and seeing whats inside. Why does Apple have such a good market sale on their phones? Why are iPhones so behind on technology? What features does the latest Android phone have that the latest Iphone does not have? What features does the latest Iphone have that the latest Android phone does not have? I learned how smartphones work, I learned alot more about Apple phones and I even learned things. I also learned about Android things that I didn't know! I think the most fun was making the website, because there were lots of cool things that we added into it like the survey page and the opinions page. Probably the most difficult was learning about Apple because I do not use an Apple phone. The easiest thing would probably be the Android section because I have used Android for a long time and I am alot more familiar with Android. My advice to others is to make sure you have everything and all the information before you finish.Also don't rush because you might not get all of the information you need or the correct information, this is not a race. My last piece of advice is, whenever you are doing a new passion time project I recommend you to have some background information on the project topic that you are doing. It is always good to have some background information on the project that you are working on because if you have no background information it will probably take you longer for the project and it is always good to have extra rounds for passion time. I learned a lot about smartphones that I didn't know, I learned more IOS things than Android because I don't use IOS things so I'm not too familiar with them, but I learned a lot, I learned a few things about Android too. Designing websites is always fun for me, so I enjoyed designing our website. I learned all of the different Android operating systems. I think the easiest part for me was Android, I know a lot about it and use it myself. But, on the flip side, IOS things were hard for me because I don't use at all pretty much, I only use AppleTV. Next time I do a passion time project I think I'll try to write a little more and use descriptive words. If I gave somebody advice about this project, I'd say that it is good to know a little about each phone because if you know nothing then it will take you longer and you should include the information you already know the phones because then you won't have to search those extra things up. Also certain websites will give you more information, Martin and I found a lot about Iphones on the website for Iphones. I think it's always good to know a website that gives the information you need.